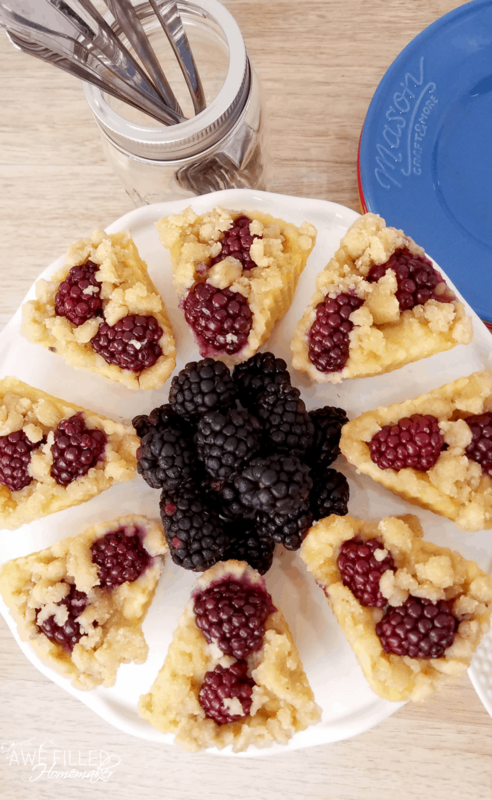 Looking for a delicious brunch, dessert or breakfast idea? 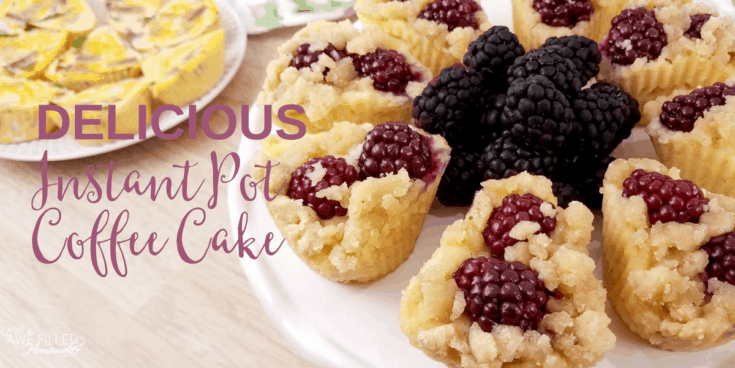 You might find this Instant Pot Coffee Cake Cupcakes to be a perfect fit for your craving. 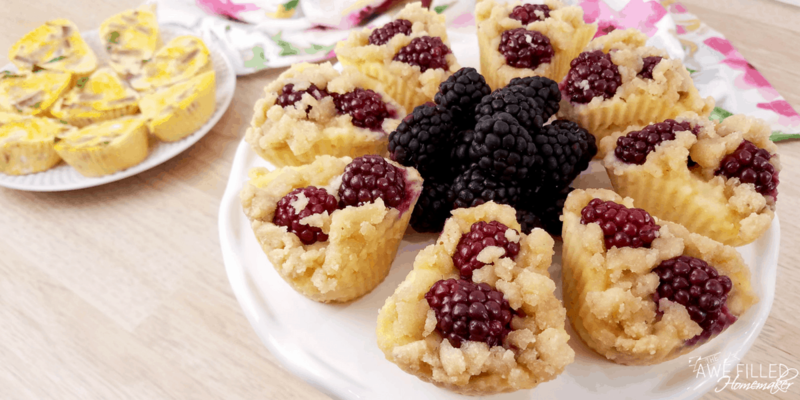 You’ll find that flavorful and moist coffee cake with a topping of honey and blackberries that are baked inside to give the perfect amount of sweetness. Grab a cupcake and enjoy your tasty treat any time of day. I will be the first to say that they go fast and it is hard to eat just one! In the mornings before we sit down to tackle school for the day, I reach for something quick at breakfast time. I like to have items like this on hand for my husband, kids and I to grab and eat. I serve it with a side of sausage or bacon or fresh fruit and breakfast is served. 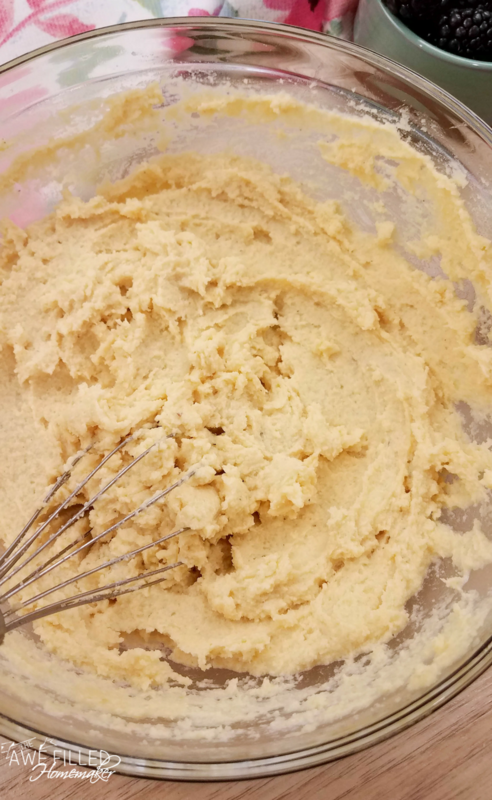 My boys and husband love this recipe as much as I do! Make it for your family and get two thumbs up for sure. The Instant Pot has really become my best friend in the kitchen. 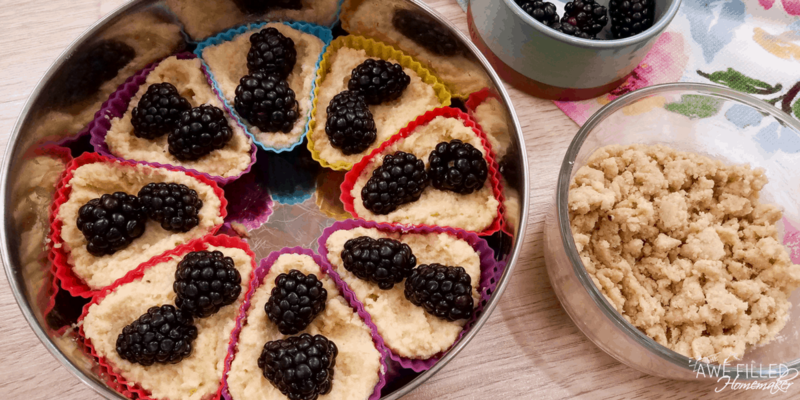 I recently made these frittata muffins and paired it with this Instant Pot Coffee Cake Cupcakes for a perfect brunch for some family that came by. It allowed them to have sweet or savory options to choose from. We served with orange juice, apple juice, tea and water. 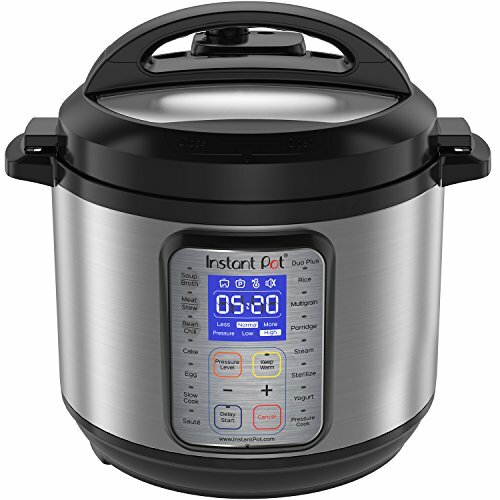 I can use my Instant Pot to make quick and easy meals that are masterpieces. I use wholesome ingredients combined with a quick cook time and I am ready to serve up a meal to my family and friends. I don’t have to worry about the meals being too dry, overcooked, or flavorless. 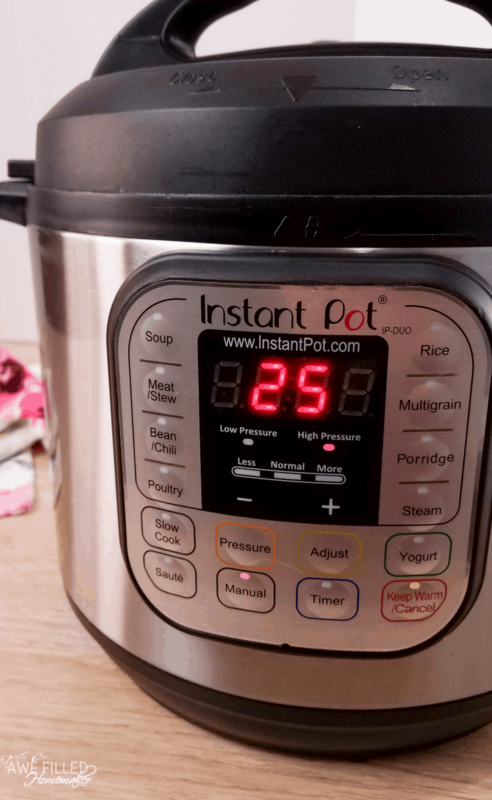 The Instant Pot makes cooking a breeze! 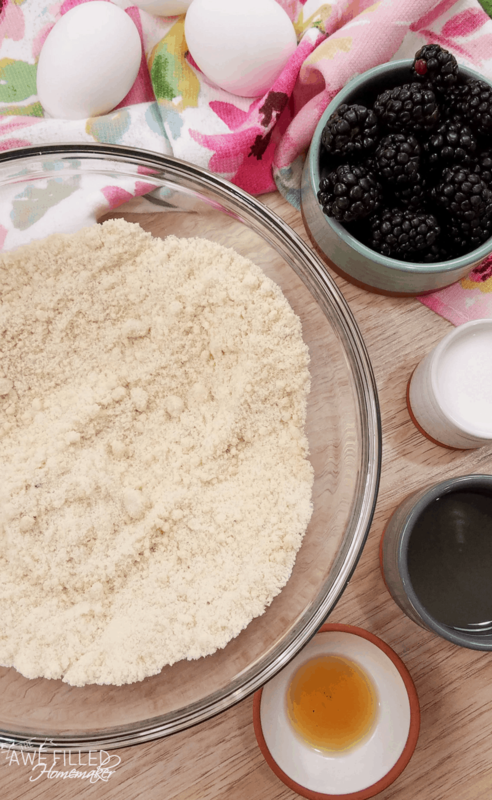 1 cup almond flour If you do not want to use almond flour, then see this guide on converting to regular flour. 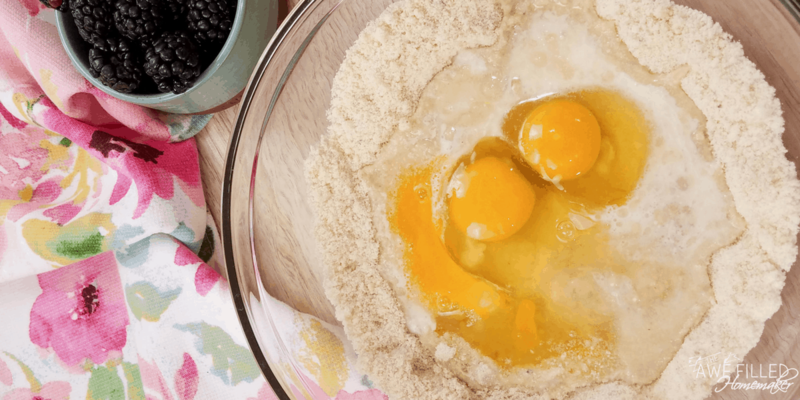 1) In large bowl, mix together all the ingredients for the cake. 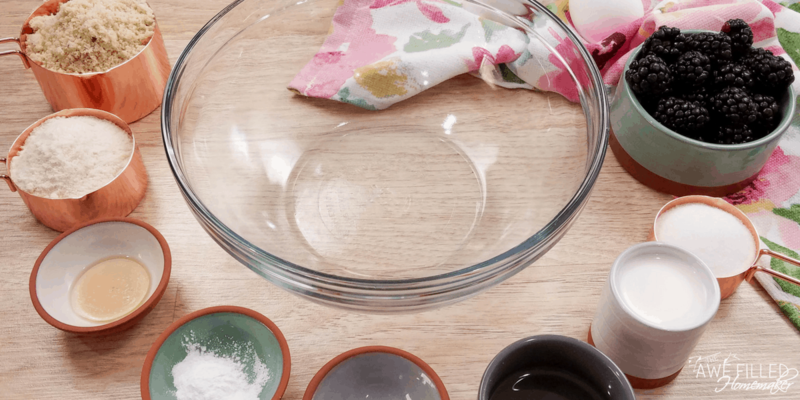 Carefully spoon the batter into 8 greased silicone cupcake liners until they are 3/4 the way full. 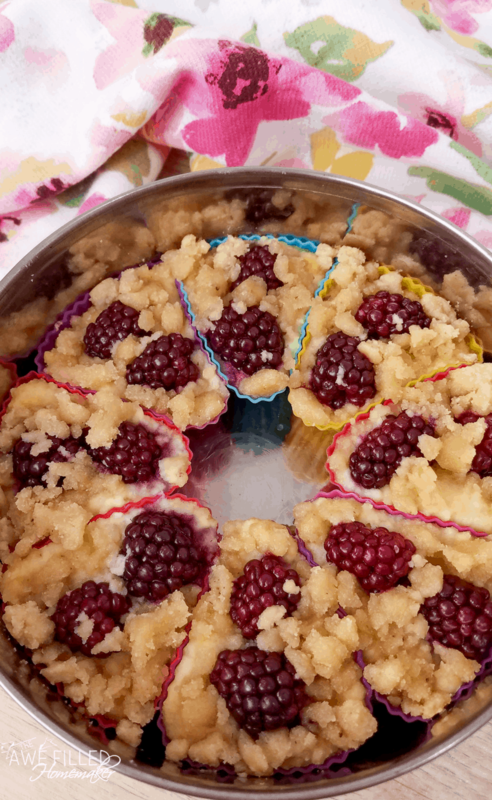 3) Add 2-3 black berries to the top of each cupcake. 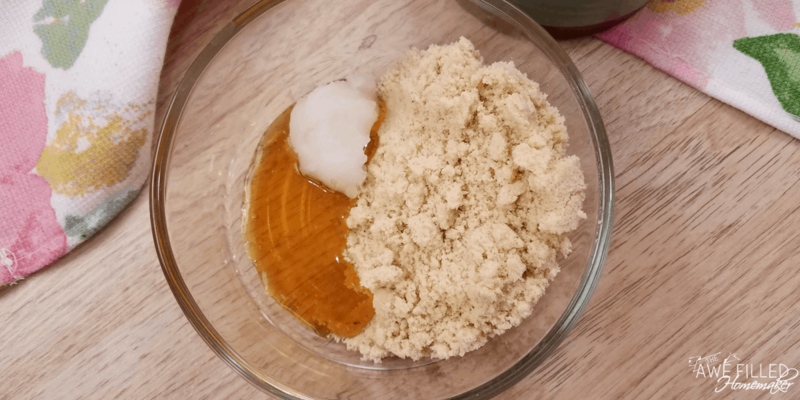 In a smaller bowl mix together almond flour, coconut oil, and honey to create a crumble topping for the coffee cakes. Sprinkle the topping over each cupcake. 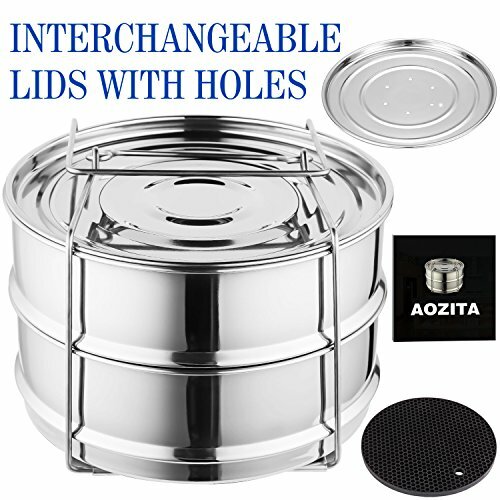 4) Cover the bowl with foil, a silicone lid, or the steaming rack. Add 2 cups water in the Instant Pot insert. Carefully arrange the bowl on the trivet and gently lower into the Instant Pot. 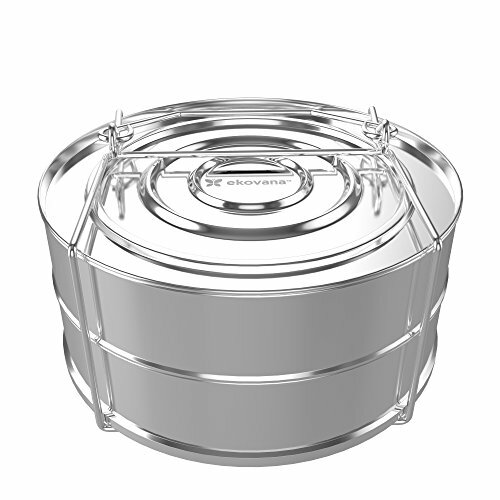 5) Close the lid and turn the pressure valve to sealing. Cook on high pressure using manual for 25 minutes. Let the pressure release naturally. Remove the coffee cakes and let cook completely before serving. 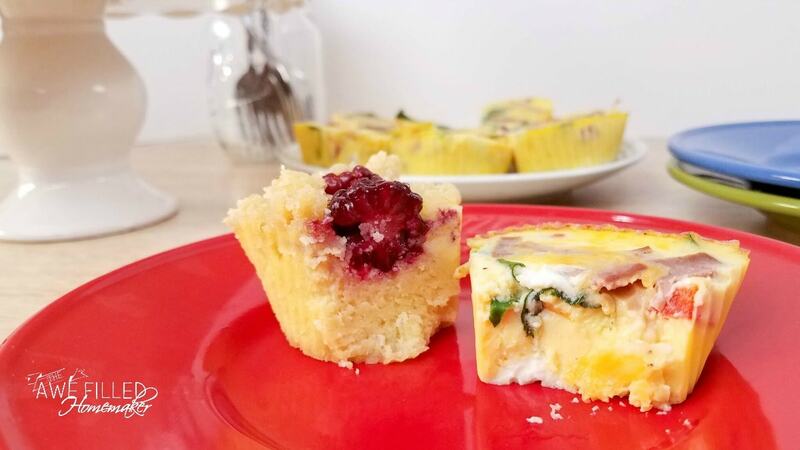 Serve with my Instant Pot Frittata Muffins for the perfect Brunch! Enjoy! 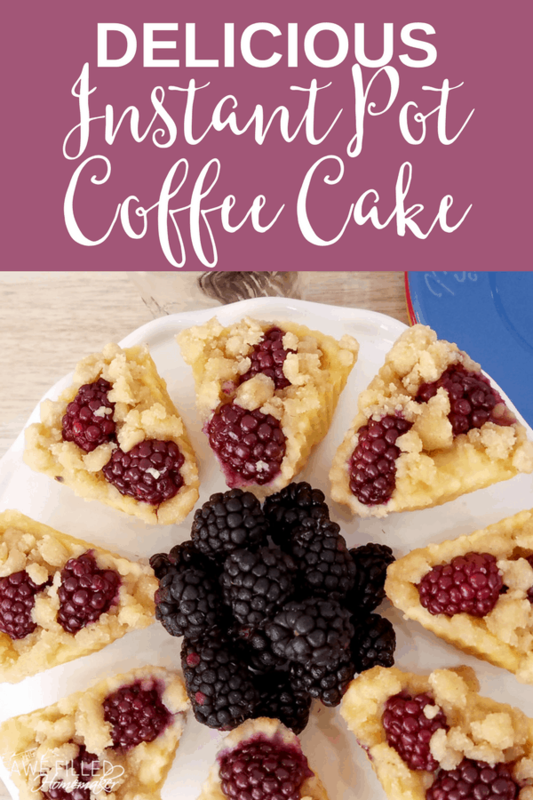 Flavorful and moist coffee cake with a topping of honey and blackberries that are baked inside to give the perfect amount of sweetness. In large bowl mix together all the ingredients for the cake. 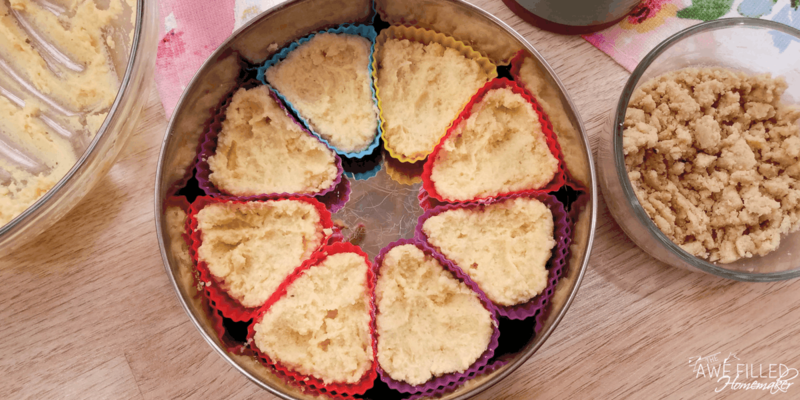 Carefully spoon the batter into 8 greased silicone cupcake liners until they are 3/4 the way full. 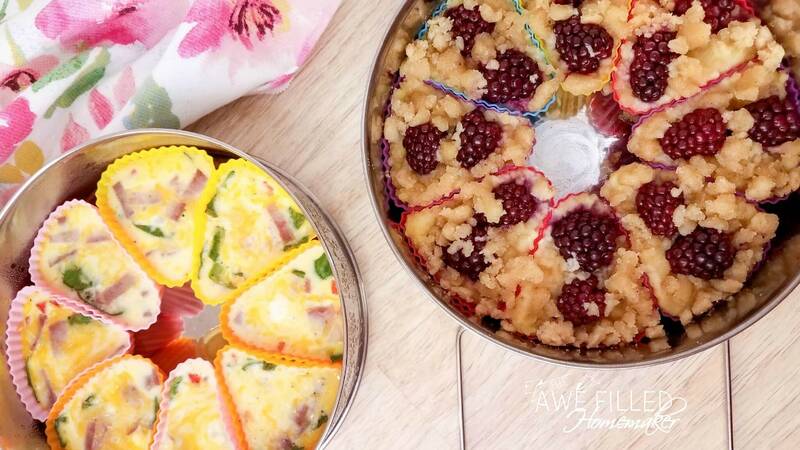 Arrange the cupcake liners into an oven safe bowl. I lined mine around the outer edge and shaped them like triangles so that they look like cake slices. 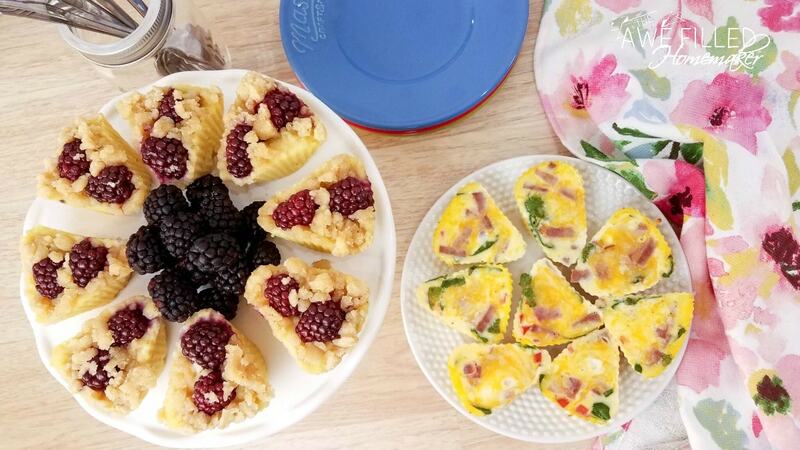 I also used my stacking steamer baskets so that I can cook mini frittatas at the same time. 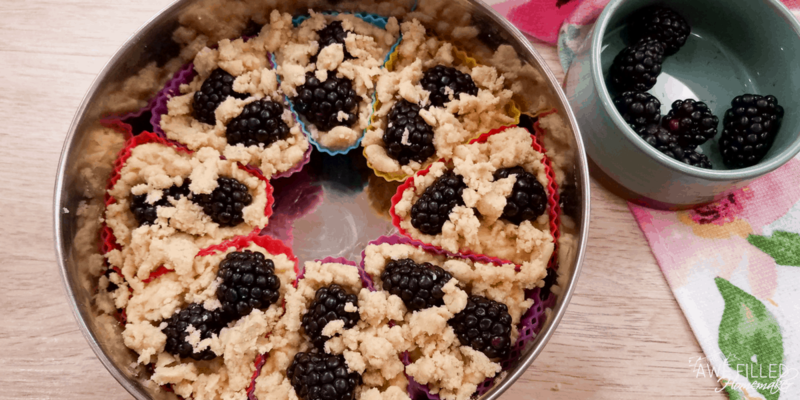 Add 2-3 black berries to the top of each cupcake. 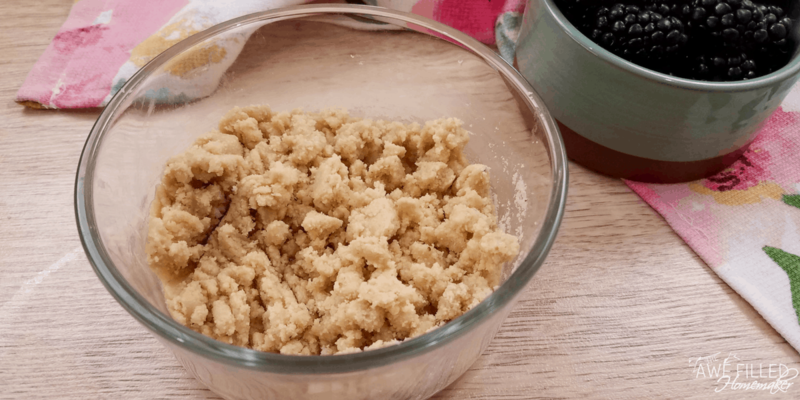 In a smaller bowl mix together almond flour, coconut oil, and honey to create a crumble topping for the coffee cakes. Sprinkle the topping over each cupcake. 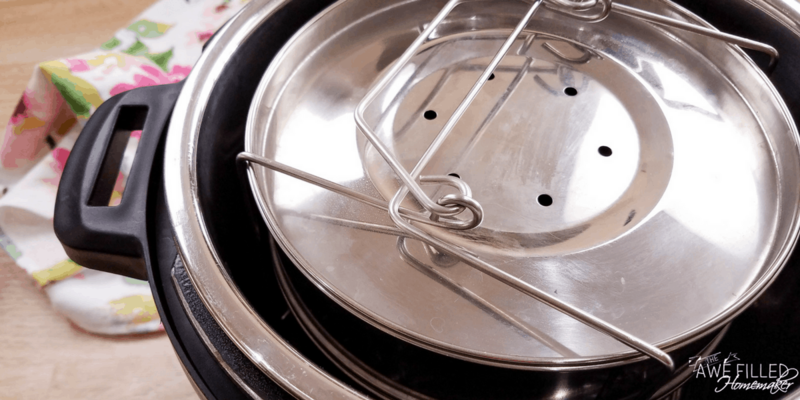 Cover the bowl with foil, a silicone lid, or the steaming rack. Add 2 cups water in the Instant Pot insert. Carefully arrange the bowl on the trivet and gently lower into the Instant Pot. Close the lid and turn the pressure valve to sealing. Cook on high pressure using manual for 25 minutes. Let the pressure release naturally. Remove the coffee cakes and let cook completely before serving.